On May 9, Walmart announced the signing of a definitive agreement to invest $16 billion for a 77% stake in Flipkart, a leading online retailer in India. The company said it supports Flipkart’s ambition to become a publicly listed subsidiary in the future. 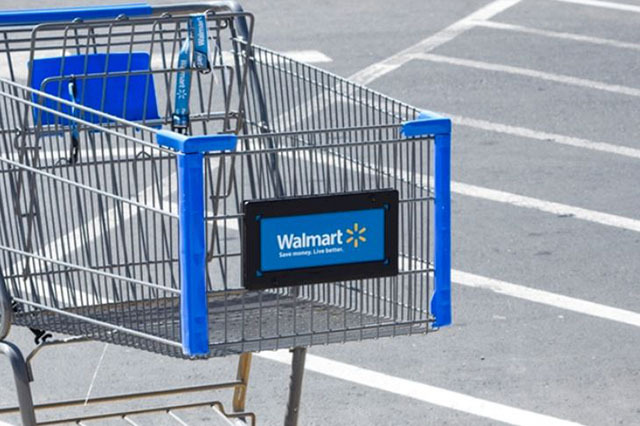 Walmart believes the acquisition will create significant long-term value for shareholders through entering a critical growth market, acquiring a leader in e-commerce, acquiring local talent with global expertise and achieving long-term growth. The investment includes $2 billion of new equity funding, supported by newly issued debt and cash on hand. The company expects the investment to reduce FY19 EPS by $0.25–$0.30 and FY20 EPS by $0.20, assuming a close in the second quarter of this fiscal year. On May 9, Walmart announced the signing of a definitive agreement to invest $16 billion for a 77% stake in Flipkart, a leading e-commerce player in India. The company said it supported Flipkart’s ambition to become a publicly listed subsidiary in the future. Walmart commented that India is one of the most attractive retail markets in the world, due to its size and growth rate, and the investment is an opportunity to partner with the company that is leading the transformation of e-commerce in India. The investment includes $2 billion of new equity funding, supported by newly issued debt and cash on hand. The company estimates the investment will reduce FY19 EPS by $0.25–$0.30 and FY20 EPS by $0.20, assuming a close in the second quarter of this fiscal year. Key points from the discussion follow. The Flipkart investment represents a high-growth, attractive market opportunity with the local leader. India is one of the key growth markets in which Walmart wants to practice active portfolio management. Other points include Walmart’s pledge to create disciplined growth through a differentiated customer proposition, to be the lowest-cost operator and to build strong foundations. Is an attractive opportunity in one of the fastest-growing markets. E-commerce is growing four times as fast as the retail industry. Is the local leader, with $7.5 billion of annual gross merchandise value (GMV), which is the total value of goods sold through the sites,and 54 million active customers. Has an experienced and committed management team, with strong in-country experience. Has strong shareholder partners and a successful track record of investments in Asia. Creates long-term value for shareholders, associates, communities and the Indian economy. India’s GDP has grown at a 9.4% compound annual growth rate (CAGR) over the past 10 years. The country has 443 million millennials, plus 393 million Generation Zers, comprising 66% of the population. 35% of the population uses the Internet, making India the second-largest Internet market globally. The mobile percentage of Internet traffic is 79%, versus 50% globally. Smartphone penetration is estimated to hit 58% in 2020, versus 30% in 2017. Total India retail is projected to grow at 9% over the next five years, compared to 36% for e-commerce. 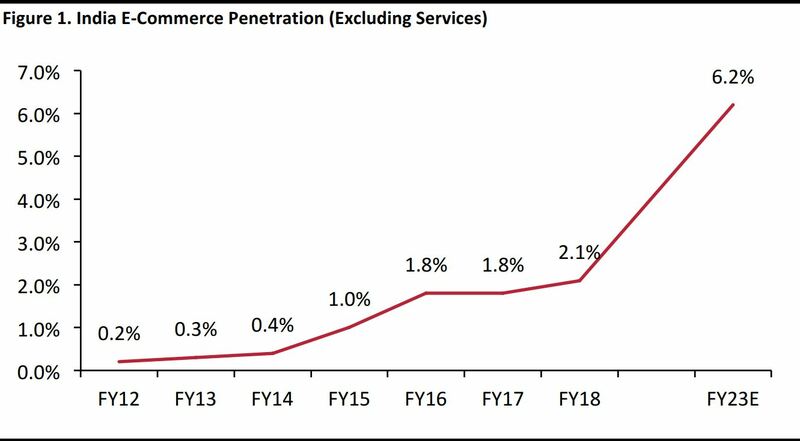 The following graph shows the expected acceleration in Indian e-commerce. The following graphic shows a screenshot of Flipkart’s app, outlines the flagship Flipkart businesses and illustrates Flipkart’s ecosystem. The graph below shows Flipkart’s GMV and the number of active customers, and the sidebar shows the number of units sold in FY18. Note 1: Gross Merchandise Value (GMV), as defined by Flipkart represents the total dollar value of orders processed on its marketplaces in the period without reduction for returns. Note 2: Active customers are customers transacting at least once in the last 12 months. Total does not exclude customer overlap between entities. 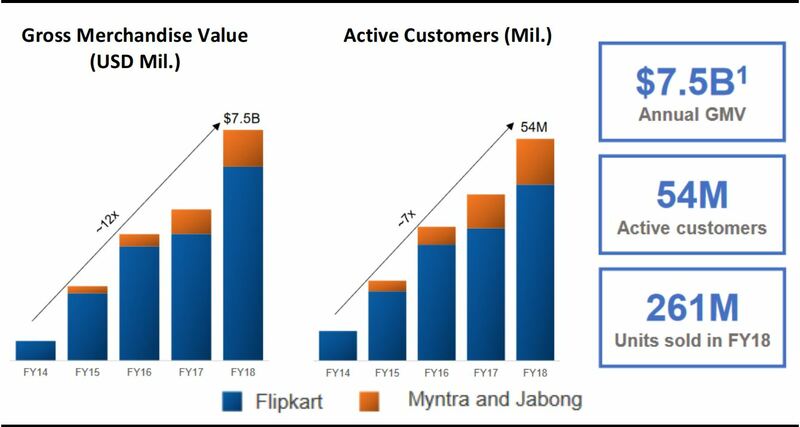 The following graphic ranks Flipkart’s position by GMV share. Source: Wall Street analysts and Bain & Company estimates. Walmart’s investment of approximately $16 billion, including $2 billion of new equity funding, which will help Flipkart achieve its growth potential. Walmart’s initial ownership stake is approximately 77%. The remaining shares will be held by Flipkart’s existing shareholders, including Cofounder Binny Bansal, Tencent Holdings, Tiger Global Management and Microsoft. Walmart supports Flipkart’s ambition to transition into a publicly listed, majority-owned subsidiary in the future. The closing is expected later in FY19, subject to regulatory approval. The investment will be funded by a combination of newly issued debt and cash on hand. Flipkart will be reported as part of Walmart’s International segment. If the acquisition closes at the end of the fiscal second quarter, FY19 EPS will be reduced by $0.25–$0.30 and FY20 EPS by $0.20. In the mid to long term, as the business scales and efficiencies are realized, Walmart expects losses to decline and returns to improve. Walmart anticipates the continuation of its current share buyback program, while maintaining its strong credit profile. Entering a critical growth market. Acquiring a leader in e-commerce. Acquiring local talent with global expertise.